Recently a Newfoundland landlord found himself in a controversy regarding a rental ad he posted on Kijiji.ca. After advertising his condo rental, the landlord was contacted by a potential tenant who referred to an ad for the same property on another Internet classified site, Craigslist. Suspicious, the landlord researched Craigslist and indeed found his property advertised by an impostor. The fake landlord was asking half the rent, and allowing both smoking and pets on the property, which the actual landlord had restricted. The local police found there was nothing they could do to stop the fraud. Craigslist also failed to pull the ad or warn potential victims of the fraud, so the landlord took matters into his own hands. He contacted the fraudsters directly, and posed as a tenant to gain more information. 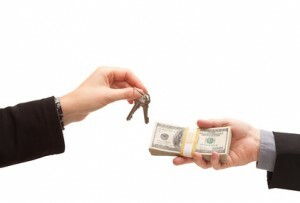 He was told to send a deposit, and upon receipt of the funds, the “landlord” would ship the keys. He was invited to view the apartment on his own. Eventually, the scammers became suspicious of the real landlord’s probing inquiry, and pulled the ad. In a related incident, a RCMP officer went undercover to bust an Internet rental scam in Kelowna, B.C. In this case, a teenager and her 21-year old friend posted an ad for a rental on Castanet. The 17-year old posed as the landlord’s daughter. A victim deposited some money in the “landlord’s” bank account without becoming suspicious of the scam. The victim believed that the property could not be shown at that time because it was currently occupied. A few days later, another victim posted a warning on the Internet regarding that ad. That prompted a call to the police. The fraudsters made the mistake of continuing to communicate with their victim and demanded the rest of the agreed-upon payment. But instead of meeting with the victim, the cons met an undercover officer. Both were arrested and charged with fraud. In the U.S., landlords have been warned by the F.B.I. of a rash on similar Internet scams. Perhaps the most notorious was a couple who moved across country to an Arizona home offered for rent in Craigslist. The family of nine could not believe the luck of finding a large house with a swimming pool for such low rent and immediately sent a deposit to hold the property. In this case, the tenants were given access, and actually started moving into the property before the real owner returned from vacation to find the family in her home. In an act of great kindness, the owner allowed the victimized tenants to remain for some time until they could find another place to live. While some of these frauds may seen obvious to landlords, who understand the normal rental process, they are not so obvious to renters. It is estimated that scammers often net thousands of dollars from each of these fake ads. Some landlords are becoming skeptical of posting Internet ads, and relying instead upon rental signs, or newspaper classifieds. Others post warning within their own ads, for instance, advising that all applicants must meet with the landlord personally, and the approved applicant will undergo a credit check before they will be asked to pay a deposit.